If your profession demands a USA phone-number or if you have relatives in USA having a local forwarding number comes pretty handy, usually you need to shell out money for having such facility as most VOIP service providers charge you for having an U.S.A. incoming phone number, but today I will be sharing not one but three services which will provide you a fully-functional USA call-in landline number for free without requiring any payment information. Access SIPGate registration page via AceVPN or any other USA proxy/VPN. Visit FakeNameGenerator and create an USA identity, use this information to signup at SIPGate. Confirm your email and you will be prompted with a screen as below, click Proceed.... button. A confirmation will be provided and number will get reserved, this will be your local USA phone number. 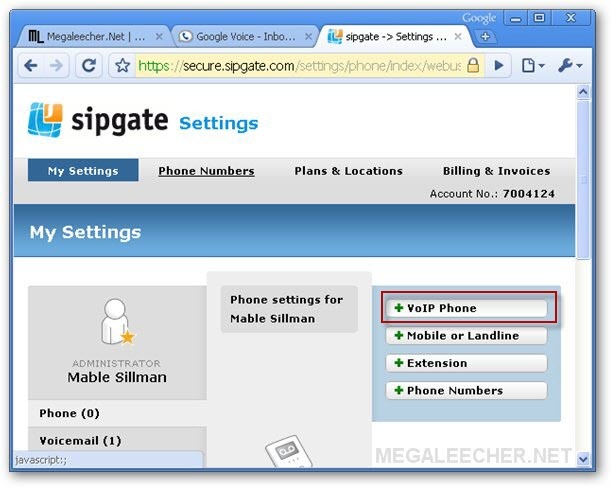 Now download the SIPgate softphone and install it. 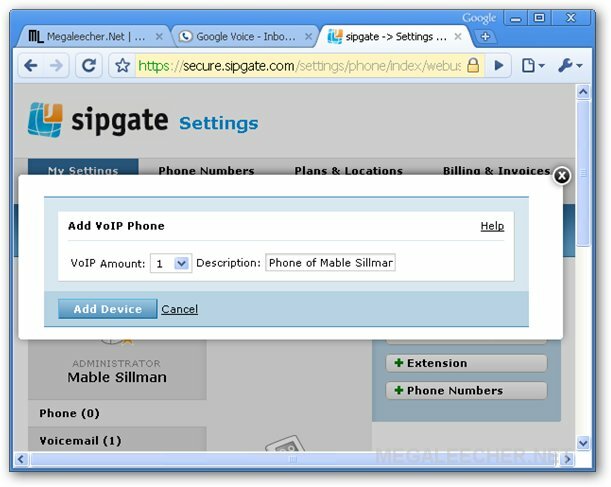 To receive forwarded calls on you PC via SIPgate softpone, add and setup a new VOIP phone from your SIPGate settings page and login into SIPGate softphone from your desktop. 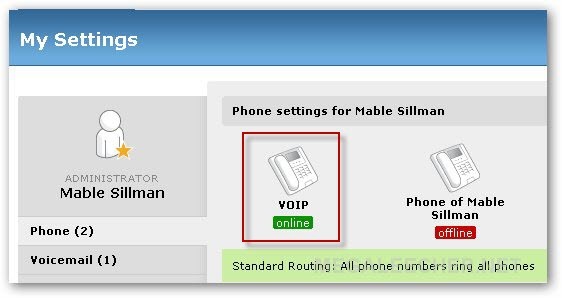 The status of newly added VOIP phone should be Online as shown below. Let the SIPGate softphone run in background and any calls made to your local US phone number will now get forwarded to your desktop softphone now. This is to inform that the service of said programme would be closed after 31-10-2013. Yes, it work. Registered 20 numbers already. application crashes when i click on the icon......help? Works just like he said nice job :} very impressed! Why's that? 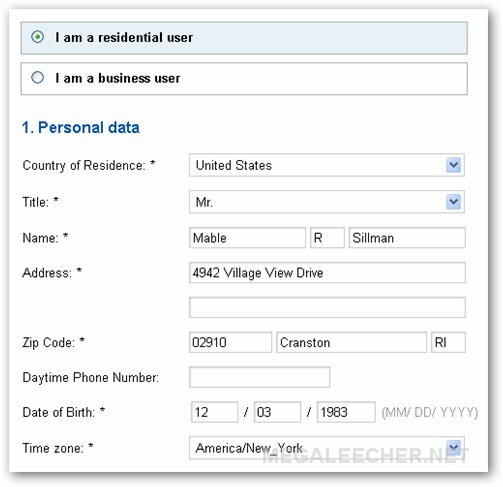 Should I still use the VPN after I register or is that for registration purpouses only? Need an invite to ACEVPN to try that one. Cannot Sign up even logged with US proxy. I tried many ways...but still showing below error,eventhough my IP is "US"
and not login in web pages with my user and pass SIP. In case somebody is still having trouble with the app crashing on Vista, check if you have connected the microphone. I had the same problem, but it is working fine if I start the app after connecting the microphone. VoIP Amount: Description: Your current plan does not allow you to create an additional VoIP phone. Please, select a plan that supports more VoIP phones. how to login in program? but when i use my email address and password for login in win program have error:login filed but i logged in with same details in sipgate site. I'm in the Caribbean. Tried to register for a Sipgate number and it told me sorry, only for US. On the registration page, they now needs a US cell number, to send an invite code. Yeha.. I'm facing that problem either..
you now need a us mobile phone number. lol. 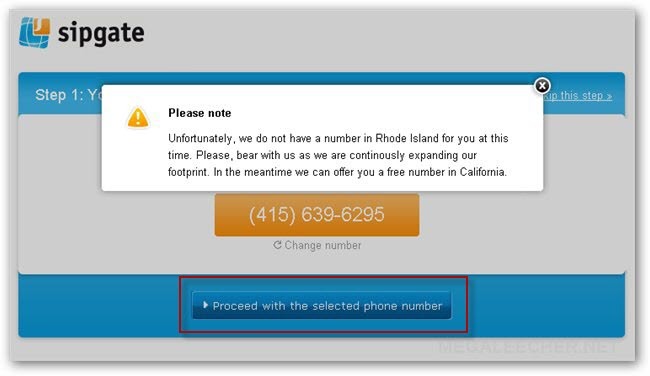 it is asking me for a usa cell phone number. lol if i had a us cell phone, i would not need sip gate. same problem here, does anyone workaround this issue. It's a pretty smart trick. I will give it a try. 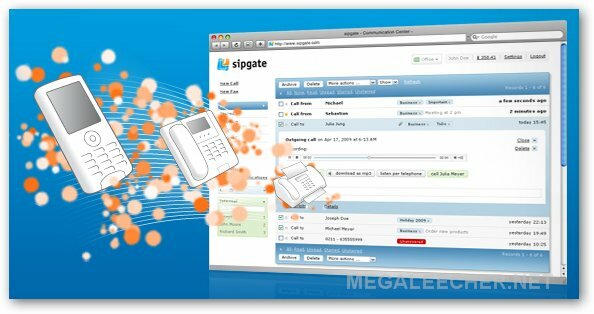 Anyway SIPgate is particularly useful for those not making a lot of outgoing calls, a cheaper alternative to Vonage and even Skype, on top of traditional landlines. I tried sign up but I need to have a USA cell number to receive an SMS with the validation code. sip gate is asking for monbile no to get invitation code and to sign up nw what to do????? This works perfectly! You can even make free calls in the US if you combine this with Google Voice. For the SMS confirmation, just call or chat (facebook) with a friend in the US. Watch out though, because currently it only sends a confirmation to each number once so I had to call another friend. Also, their softphone I downloaded is a bit buggy. Anyone know about this? - Maybe it will work after a restart. any one to help me get a confirmation code. I am using Onesuite VoIP for calling long distance and this SiPGate is the perfect pair for it. Now I can have a free roaming phone number and can receive US calls whenever I am plus I can call back the US for dirt cheap price using my Onesuite account. I just registered to SIP Gate and it works! Thanks. 1-when I create the random phone number in "http://www.fakenamegenerator.com/" and I want to Register by this information in "https://secure.sipgate.com/register/"
, I need "Network operator" to register,but I do not know it. 2-when I want to register in "https://secure.sipgate.com/register/" ,I do not see the first form (on this instraction page) and I see other page. Can anybody get a SMS confirmation code for sipgate? My email is jjliu98@yahoo.com. Can someone send me a sms confirmation? Can someone please send me a confirmation code so that I can get started. I can't even sign up. lol send it ksharp71@gmail.com Good looking out! Hi my name is Stefanie Miller and I am in love with Brent Rudolph. You can do unlimited outgoing calls to U.S by using Bobsled software and website and also has android and iphone app .